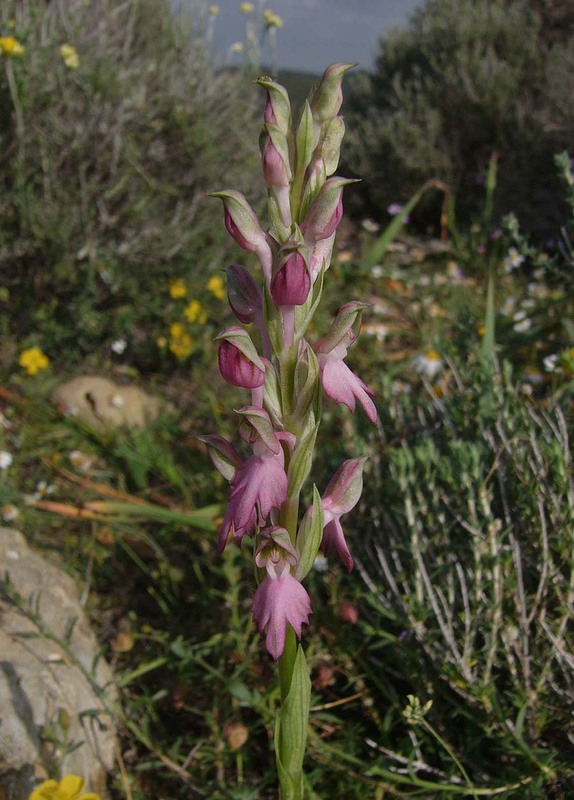 Palestine, many of which supported colonies of this species. 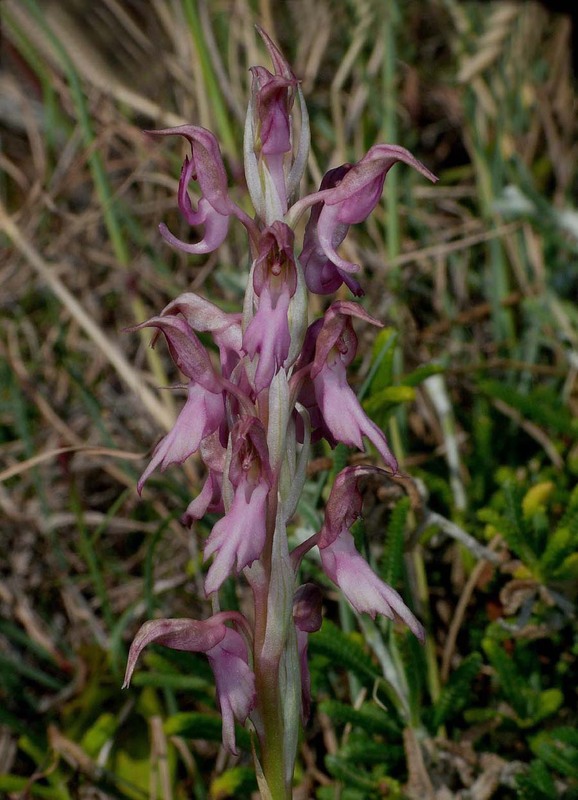 This is a close relative of A. coriophora and in common with that species, was originally classified as an orchid of the genus Orchis. 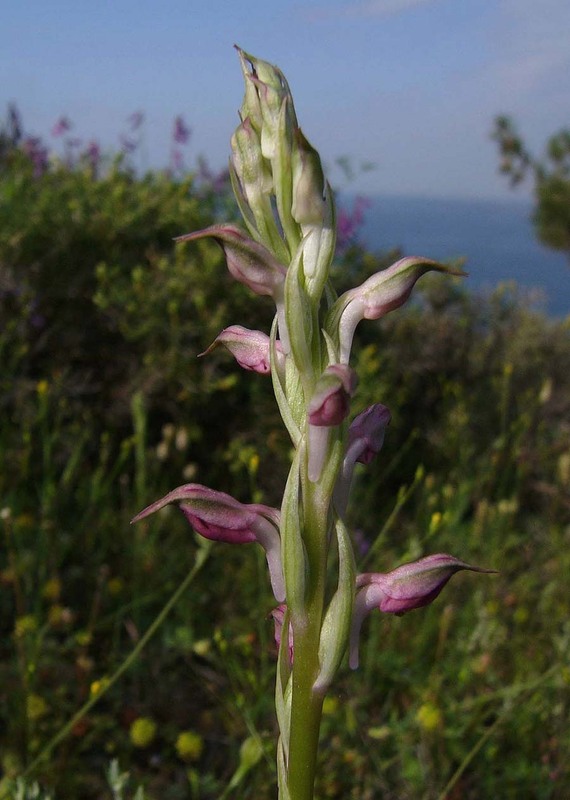 Its distribution is very much based on the eastern Mediterranean, occurring somewhat sporadically in the islands of the Aegean, Cyprus, Anatolia and near East. Although it can be numerically plentiful in its favoured locations, it is decidedly local and it can be unaccountably absent from seemingly ideal locations within its overall distribution. 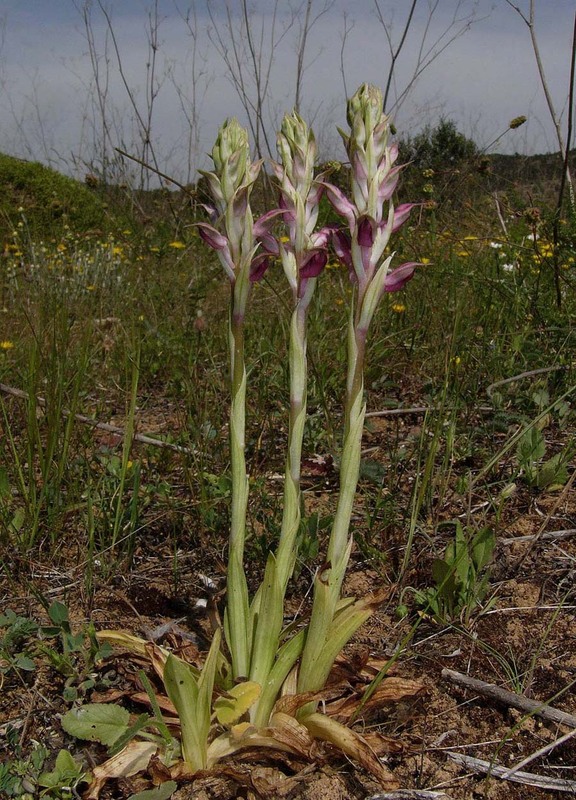 A. sancta is a species of calcareous soils in full sun and exhibits a particular preference for sites near the sea. 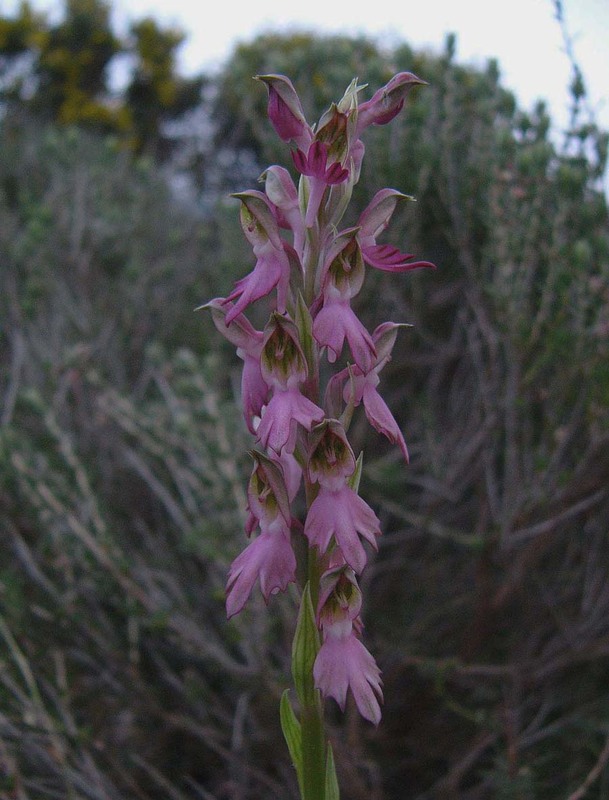 These sites vary from dry sand dune systems to bare rocky cliffs. 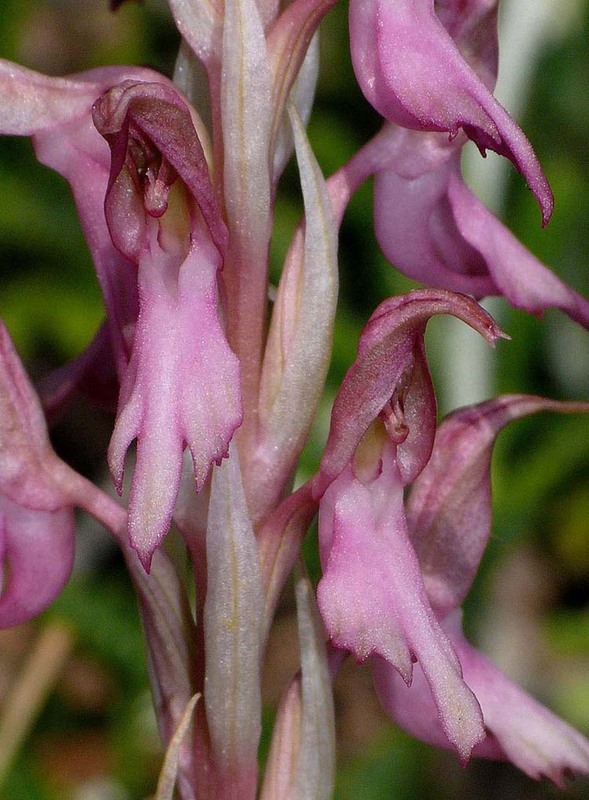 The species can however be found in positions inland and occasionally in partial shade but such sites are atypical. 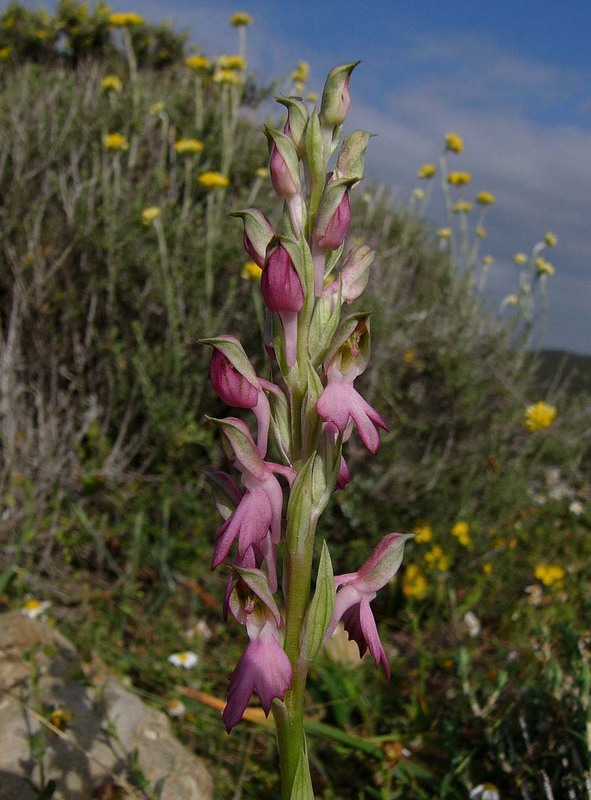 It's a relatively late flowerer and is normally just appearing when the main flush of early Mediterranean Spring orchids are declining. Mid April to May is the usual period although in more northerly areas it can still be found in good condition through to June. 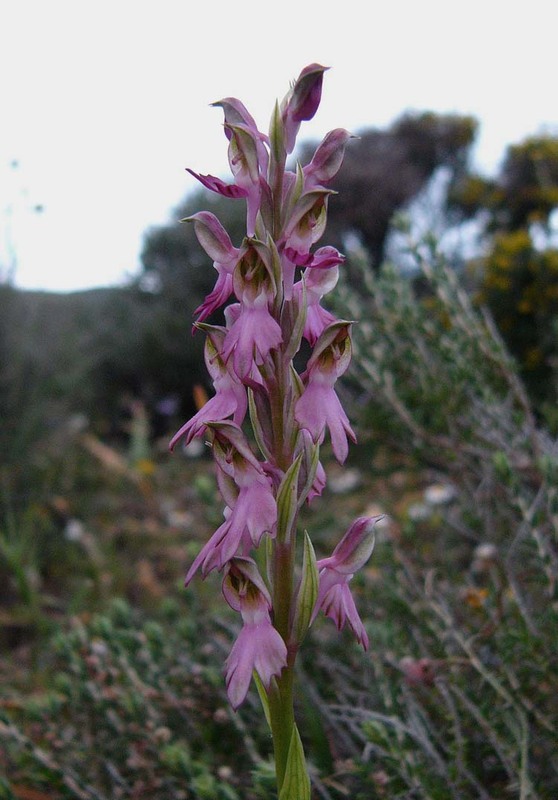 This orchid is not easily confused with other species and whilst it can often resemble A. coriophora , habitat preferences are very different and A. sancta would not be found in the moist conditions favoured by the former. 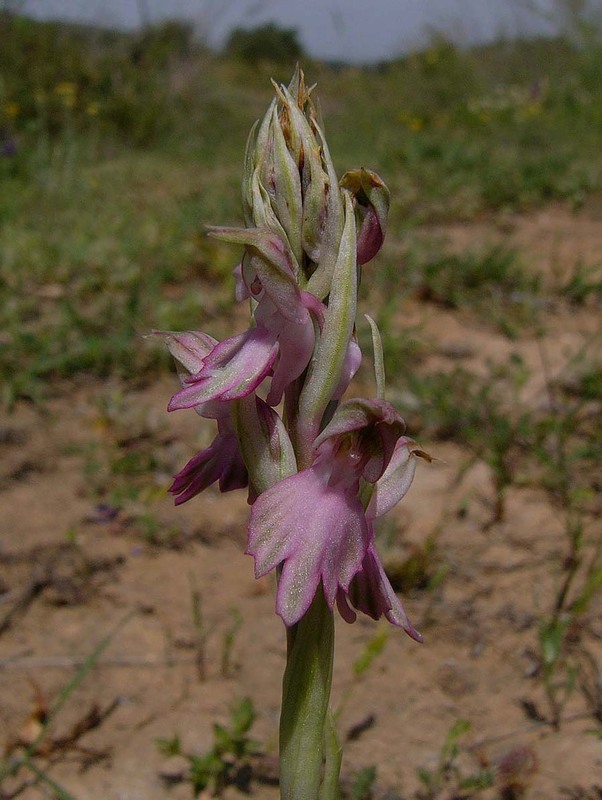 A. fragrans can be found in drier conditions but the spotted flower lip serves as a reliable differentiator. 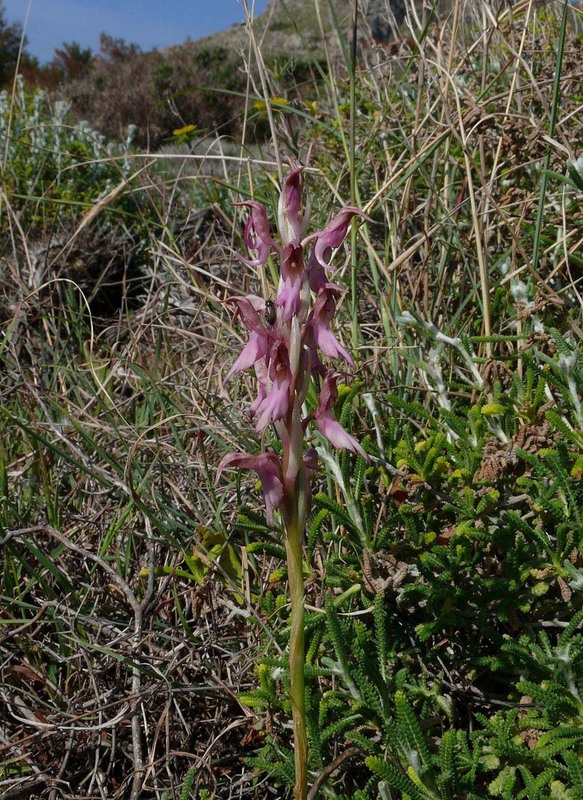 The photographs are from Chios and Rhodes, dating from the end of April.